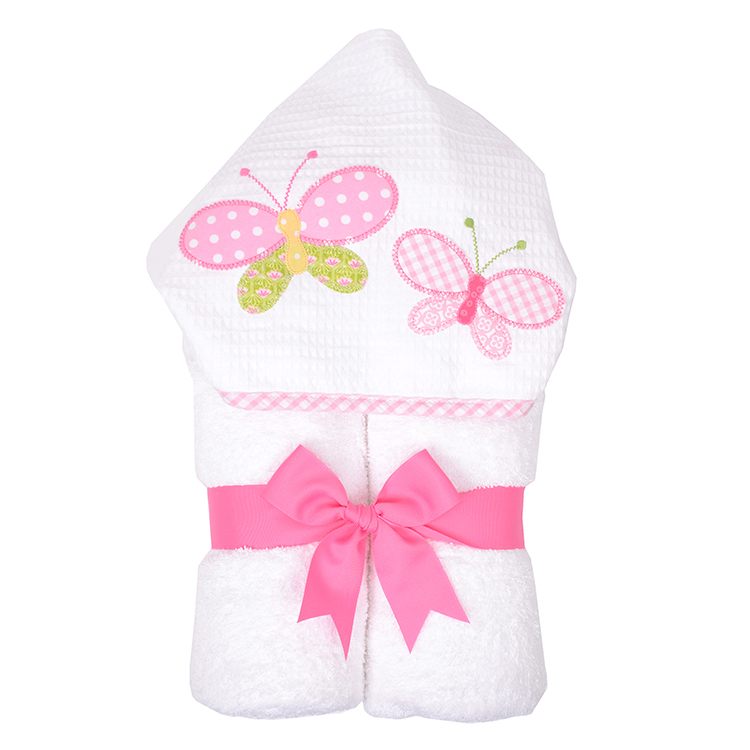 Our everyday towels are great for older children and also make a wonderful newborn baby gift. 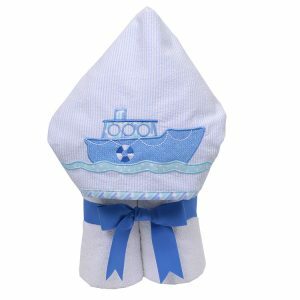 The towel measures approximately 30″ x 50″ with a terry lined hood sewn down the middle of one of the long sides. This over-sized towel can fit children up to, and even beyond, 6 years old. 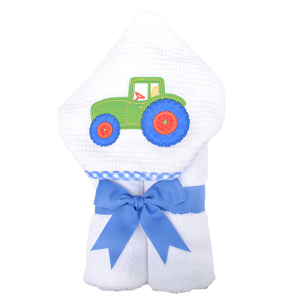 SKU: 3809 Category: Scrub-a-dub-dub. It’s Bath Time Fun!